The contractor did a far better job with our uneven floors than we expected and installed our new laminate just in time for Thanksgiving. After quite a few years of living with carpeted floors and 3 dogs, my wife was tired of all the cleaning involved. Plus we had guests coming for Thanksgiving. 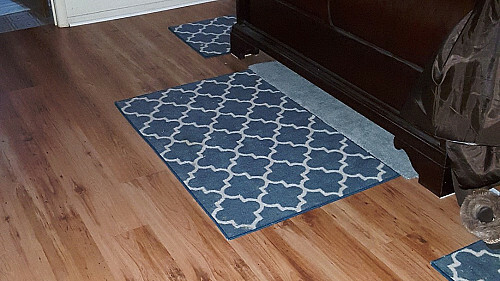 We decided to install laminate flooring for easier cleanup. I started out to do it myself 2 weeks before Thanksgiving. However, after I had ripped up all the carpeting, I quickly realized that I didn't really know what I was doing. I wish I had known beforehand that the floor wasn't going to be level. It would have given me more time to plan. In hindsight, before you get started on a project like this, I recommend lots of investigation of what's involved. 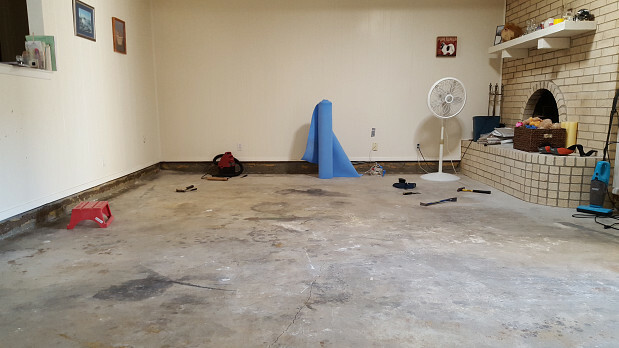 Our 17' x 20' living room floor was not only very uneven, it was a cement slab that extended 4 inches up the wall. There was also a fireplace in the room with a 2 foot high curved edge that had to be worked around. Uh oh! We were in a real time crunch by this point. I wanted to find a professional to take over, to do quality work but somebody who could finish the job within the time frame before Thanksgiving, too. I looked for a contractor online and contacted 3 or 4 people. Two of them came out and gave me bids, one didn't show, and the last one had me measure the floor so he could make me a bid over the phone. I hired the fellow who said he could complete it in time. He also happened to be the cheapest. The other guy was going to charge me a fortune. 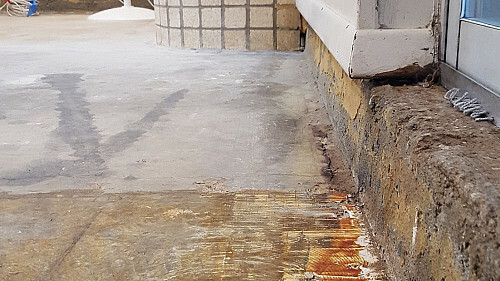 The contractor had to float the laminate flooring over the cement slab. He must have used about 20 bags of float altogether! It took 2 days just to finish that and get it all dried. The living room was the worst offender. After that, things went very quickly and smoothly. I had moved everything out of the living room, but then my garage was full and I didn't have any place to put the stuff from the bedroom. They did a great job of working around it, though. The contractor made a lot of potential problems simple, like covering up the wall where the carpet used to be. We were very happy with the work and how they accommodated us. They did a real good job, far better than what I expected. 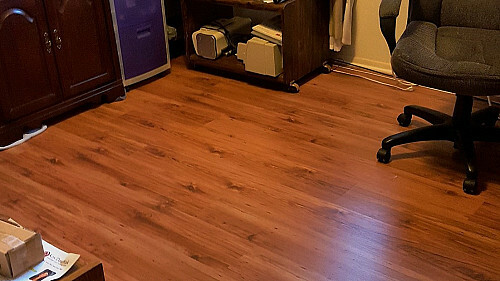 How I Chose My Flooring Contractor And Why I’m Glad I Did by Natasha C.
Don’t Be A Goober – Hire Qualified Pros For Safe Tree Removal by Gary R.